(SPOT.ph) Filipinos have a never-ending love affair with food. From homegrown cafés, international restaurants, midnight markets, and flourishing gastro parks, the Philippine food scene is all the rage these days. 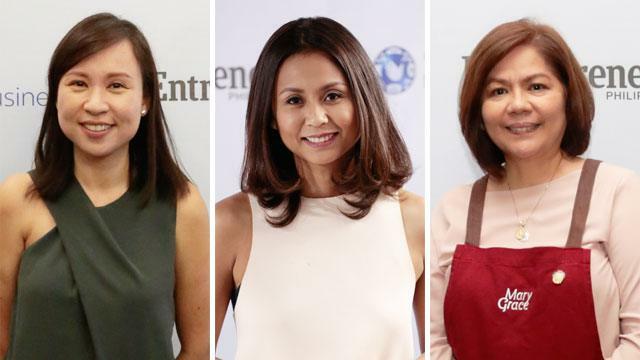 Entrepreneur magazine, in partnership with Globe myBusiness, invited top speakers from the food industry to give budding restaurateurs nuggets of wisdom to make it big in the competitive food business. This gives us answers as to why we keep coming back to certain foodie destinations, and not others. Here's what we discovered. The best restaurants know their guests very well. Don’t you just love it when waiters call you by name, or when they know exactly how you want your eggs done? The staff should know how to anticipate your needs and wants. Both the food and the service must be consistent every time you come back or whenever you try a different branch of the café or restaurant. Convenience is key when it comes to pleasing the palate of the Filipino diner. If there’s ample parking space and an accessible location, then there’s always a good reason to keep coming back for more. Dining is not just for the sense of taste. Filipinos eat with their eyes too. For a restaurant to be considered good, it must satisfy all senses. Good acoustics, interiors, lighting (for Instagram, no less), food plating, and menu photos are the essentials for a memorable meal. The Philippines is one of the top countries who spend the most time online, so a restaurant’s presence on social media counts. Being visible online also has it's benefits for customers, as it engages them and helps them understand what a restaurant or food concept is all about. Moreover, Filipino diners appreciate a working website that shows the restaurant’s contact info, location, and of course, awesome food photos. 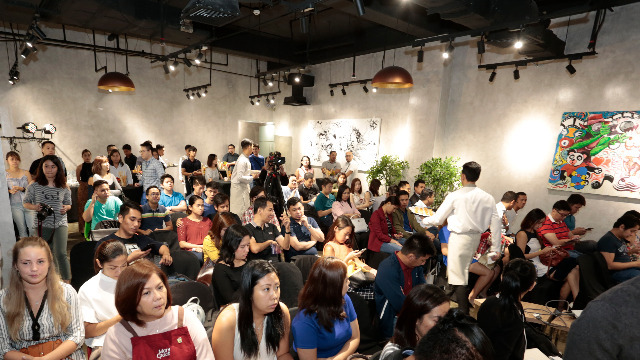 These insights were shared at the inaugural "Trep Talks" hosted by Globe myBusiness. The casual talk was helmed by some of the country's leaders and influencers in the local food industry. The first speaker was Abba Napa, Founding Partner in The Moment Group of Restaurants. Surely you haven't missed their famous culinary havens: 8Cuts Burger, Ooma, Manam and the internationally-renowned Din Tai Fung, among many others. Abba grew up around food and traveled the world in pursuit of the perfect Eureka "moment" when dining to satisfy her epicurious soul. Her career beginnings include founding the country's largest retailer of flip flops, and it was her expertise in retail that turned out to be the perfect concoction for the success of her group of restaurants. Mary Grace Dimacali, owner of Mary Grace Cafe and its well-loved ensaymada, also shared her insights. From joining bazaars in the 90s to her first café in Serendra in 2006, it's no doubt that Mary Grace had the most humble of beginnings. Today, with almost 40 shops around the country and counting, Mary Grace continues to warm the souls of countless Filipinos with her brand values of Home, Family, Hearth and Faith. Also a speaker was Spot.ph's very own Editor-in-Chief Joanna Manalastas, a certified foodie known for her influential Top 10 lists of restaurants to try. Joanna has many insights on the digital realm of food, which has now become one of the most highly-photographed subjects on Instagram and Facebook. Globe myBusiness also talked about digital solutions like RUSH to help food entrepreneurs set up a loyalty program to reward their customers after every purchase. Do you agree with these experts’ insights on what gives you a #happytummy? Gather the squad and fam today and see for yourself if these tips are brought to life. Happy eating! Learning about local foodie tendencies is great but if you want to learn more, you can download this PDF for a quick refresher of the topics and tips covered during the Globe myBusiness Trep Talks event.